Misr International University always guides its students to steer their careers. 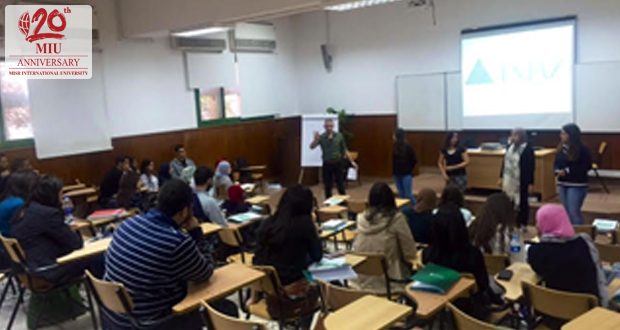 Misr International University always guides its students to steer their careers. 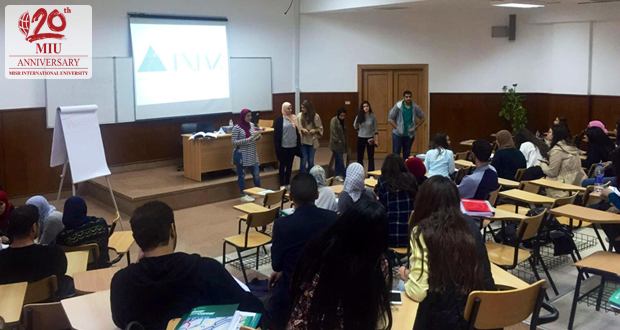 MIU, with the collaboration of Injaz Egypt, organized a 3-days program entitled “Steer Your Career” aiming at honing the skills needed for the students to eventually find a job and operate effectively in a competitive job environment. 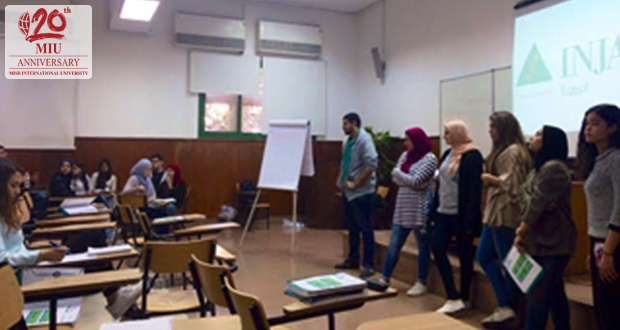 Every session of the program will cover different aspects like “Leadership”, “Time Management”, “Communication”, and other skills that they need to move from the academic environment to the professional environment. The first session was on the 27th of Feb, 2016 and the second was on the 5th of March, 2016. The third session is scheduled for the 12th of March, 2016. A great number of MIU students have been attending these sessions as well as Business staff.